Are you interested in your Canadian ancestors but don’t know what the best resource is to use? Well, the Canada Census Records can give you a plethora of information about your heritage. But when were these censuses conducted and where can you find them? Read on as I explain this valuable Canadian resource to you. You can learn so much about your ancestors from census records. They can also help you to extensively build your family tree. For me, (and I bet a lot of people), I have used this resource immensely to add branches to my tree. From these records you can find out your ancestor’s year and place of birth, their religion, description of their property and many other aspects about them. They can really help you to unravel a picture of their lives. Please watch these top tips! Before you continue with this post I just thought that I would show you this great video helping you to discover your Canadian heritage. The video is presented by Crista Cowan from Ancestry and will show you how to research your immigrant ancestors from the north. What Census Years Are Available? What Can You Expect From These Records? Abbreviations You Can Expect To Find! Believe it or not but the earliest census conducted in Canada was way back in 1666 in the province of Quebec. Over the coming years there would be censuses carried out in Newfoundland and Acadia. Then in fairly adhoc years of 1825, 1825 and 1842 Lower Canada which is now called Quebec saw censuses, (Upper Canada, now called Ontario also had a census in 1842). From these early census records you may see your immigrant ancestors arrive in Canada from the United Kingdom. Once you have found where they came from you will then know where to look for their birth or baptist records or any other record for that matter. Modern Canadian census records revealed! Today’s modern census records dates to 1851 and has been carried out every ten years. The Prairie provinces of Alberta, Manitoba and Saskatchewan each had a census in 1906 and 1916. The 1921 census record is the latest account of Canada which was released on June 1st 2013. Canada has a 92-year rule where this amount of years must elapse before there records are released to the public. With this said you will have to wait until 2023 I am afraid. From 1871 a number of new key elements were added. 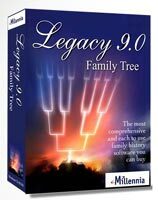 This is great for genealogists from this information as we can learn more about our ancestors. Not only that but we can use what we find to locate even more records about them. From the following lists you will see what questions were added. You can also see what questions were specific to certain records. Age – If you already know the age of your ancestor in 1871 then you can use this to help you verify that you have the correct person. But be aware that there maybe some discrepancy. Occupation – Another useful element to help you identify your ancestor. Or you may not have already know what your ancestor’s occupation was. Religious affiliation – This information can help you find records such as your ancestor’s marriage and death church record. Birthplace – This information will obviously help you to locate your ancestor’s birth record. 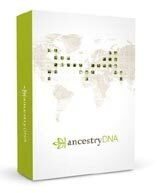 Father’s origin or ethnic background – This can help you take your family tree back one more generation. French Canadian – For this particular record the government wanted to know whether the individual was a French Canadian. Parents birthplaces – Similar to the two previous records this questioning can help you locate both your ancestors parents birth records. Relationship to head of household – This element of the records can help you to build your family tree and its branches. I have used this element extensively to help me build my own tree. Birth date – Previous records asked for the individuals birth year. In this record you can get your ancestor’s exact date of birth. Year immigrated to Canada – Although not quite as precise as the previous question this information can help you to locate your ancestor’s immigration record. Year of naturalization – Following on from the previous question you can learn when your ancestor was naturalized. And then you can use that information to find this record. Father’s racial or tribal origin – Rather than asking whether the individual’s father was French Canadian this question asked for their racial or tribal origin. Building and land – From this question you can find out your ancestor’s residence. When viewing your ancestors census records you may across an abbreviation that you are not quite sure about. For that reason I have included a guide here that lists all possible abbreviations that you can expect to find in these records. Where Can You Find These Records! When I first started to research and write this post I didn’t know what to expect from these records. Even though I am not from Canada I felt though that it was important to provide such a guide to this helpful resource here. You can learn a lot about your ancestors from these records as I have highlighted in this post. And I have also mentioned a couple of times that this resource can help you to build your family tree. After learning about your heritage from your parents and other relatives census records is the next resource that you should go to. For me I like to check what you can for free! And so for that reason I head to FamilySearch. They have millions of records within their database. And I have used this free resource considerably. However, when it comes to finding your Canadian ancestors in census records the results are quite limiting. So, you may not find what you are looking for I’m afraid. They do offer an index and image of the original censuses for 1825, 1831 and 1842 but after that their resources are limited. You will find indexes on FamilySearch for the years 1851 through to 1901 and the Prairie Years as I call them. But they do not provide images and they do not have the latest 1911 and 1921 census records. Ancestry is the place to go! For that reason I do suggest that you head on over to Ancestry where YOU WILL find a complete collection of indexes and images from 1825 right up until 1921. Yes, I know that does mean that you will need to spend some money. But genealogy is like any other hobby where you have to part with your cash on occasion. And I firmly believe that if you are passionate about your family history and that you want do your research proud then you have to dip your hand in your pocket from time to time. Having done this myself I have written my own family history book that I can be proud of. My book contains many branches, stories and information that I have gleaned from this valuable resource. So, do yourself a favor and check out your Canadian ancestors through census records. You may also like to check out the Library and Archives Canada website. There you will find valuable information on each of the census records as well as helpful tips to search them as well. I hope you enjoyed this post explaining to you the Canada Census Records. If you have any questions or comments then please leave a comment below. That’s ok Barbara. I wish you all the best with these records. Thank you Barbara that is most kind of you. Owain, Love your site. I have been using the Canadian Census for years. I have a question when I am searching back the 1842 census is there anywhere to find what information was collected? Looking at it all I can figure out is name and what the person did. Do you know anywhere to find this information? Merry Christmas Barbara. Thank you for visiting and enjoying the site. There isn’t much information within the 1842 Canadian census records. You will find given name and surname, as well as occupation, and then district name, county name, and sub-district name. Two resources that will help you are Family Search 1842 Canada Census Records and Library And Archives Canada – 1842 Census. The Library and Archives site is best as it gives you a lot of information and help with these records. It can also show you how to obtain these records. Thank you for all this helpful information, Owain. Personally Genealogy is a subject that eludes me since my view of the world is a bit different than most. Regardless, the information you provided can be paralleled for almost any culture or nation. I am sure to come back and visit the rest of your site. It sure sparked an interest and who knows, might help with some related matter I have been investigating. Bestest! My pleasure Pablo. Genealogy is interestingly the second most popular hobby in the States and I’m sure it is also very popular in Canada too. I have packed a lot of useful information into this post that will help anyone trace their Canadian heritage. All the best. I have Canadian friends who are clamouring for this kind of information. I’ll have them take a look. A very thorough post and jam-packed with great information. Loved the video too. Thanks for sharing. My pleasure Sean and I’m glad that I could be of help. There is definitely a lot of information included in these censuses and your friends will find it very useful for their genealogy research. Wish them all the best from me. Wow. This is just jam-packed full of information! I love it! I’m not Canadian … but so much of this I found interesting. I’m adopted, so learning about my heritage/genealogy hasn’t been an easy feat! Some of this information I can definitely use! Awesome, cheers! Glad that this post was some help to you Courtney. You can expect similar information from census records from the United States and the United Kingdom. Census records as I have said in the post can help you to build the branches of your family tree. You can also use the information that you find to look for other records about your ancestors.